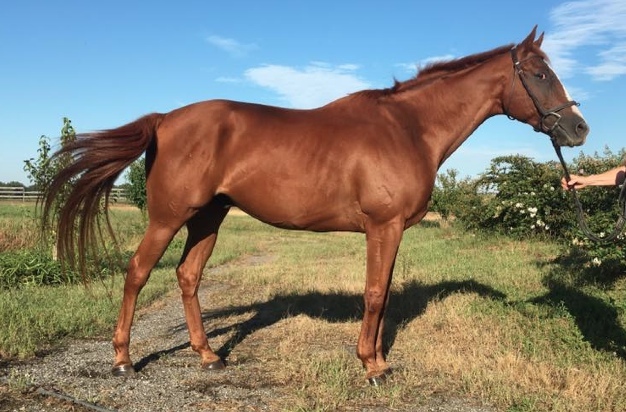 "Hopper" is a sweet and easy going 2008 chestnut thoroughbred gelding. He shows plenty of talent, with a super trot, and willingness to learn in a frame. He is fun to back alone or in groups, and has done course up to 2'3" jumps. 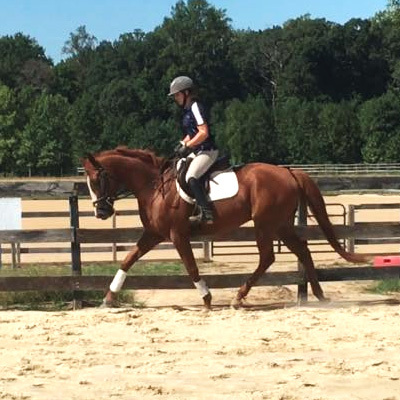 Hopper would be best suited to a rider with some experience with OTTBs, as he can still be a bit quick in his work. 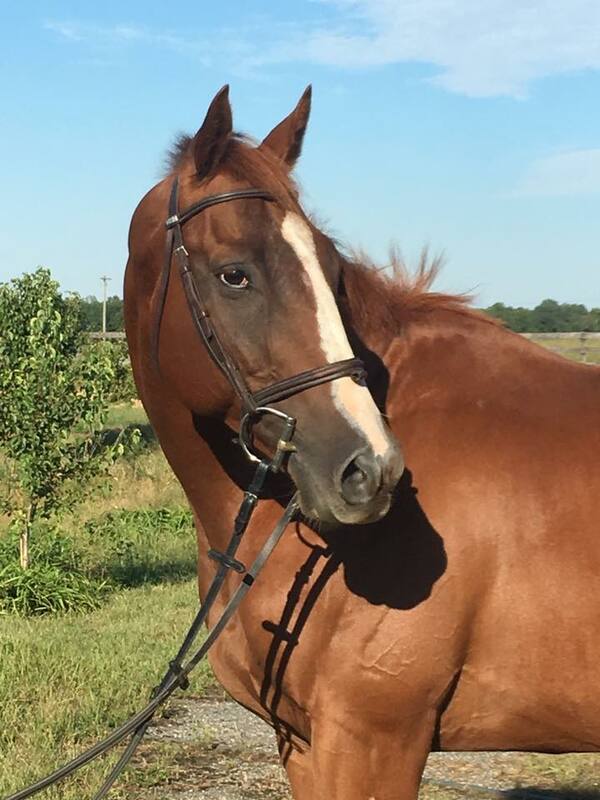 He would suit well as a dressage, hunter, fox hunting, paper chase, or lower level eventing mount. He is sound and has no vices. For sale to a great home only!